`Oumuamua is the first known interstellar object to reach the Solar System after being ejected from its home planetary system. This unique object was discovered by the Pan-STARRS telescope on October 19, 2017, and almost immediately became a scientific sensation. A team of scientists led by researchers from the Jagiellonian University decided to use this opportunity. 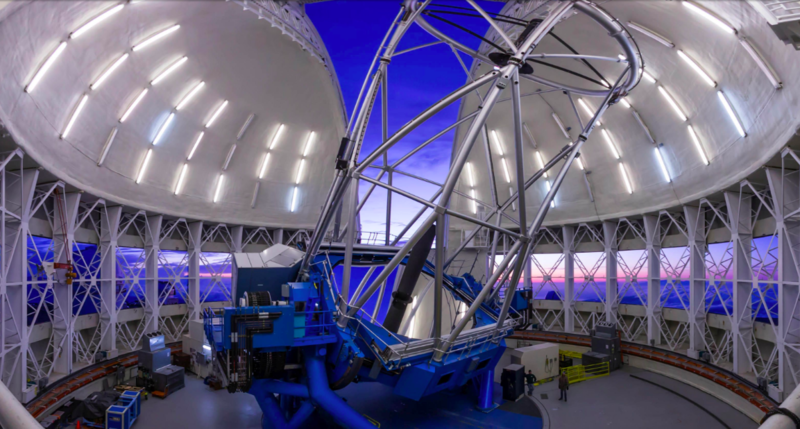 According to the Jagiellonian University press release sent to PAP, they were allocated 12 hours of observation time on the Gemini North telescope in Hawaii - one of the largest and most advanced astronomical instruments on Earth. This was the longest time allocation for `Oumuamua research on a telescope of this class. "This translated into the most extensive, highest quality observational material" - emphasizes Michał Drahus from the Astronomical Observatory of the Jagiellonian University, the study co-author quoted in the press release. Over two nights of observation, scientists took more than 400 accurate photos of the object. They used individual photographs to monitor the changes of the `Oumuamua brightness. Such changes appear naturally when an object of irregular shape rotates around its own axis and reflects constantly changing amount of sunlight. 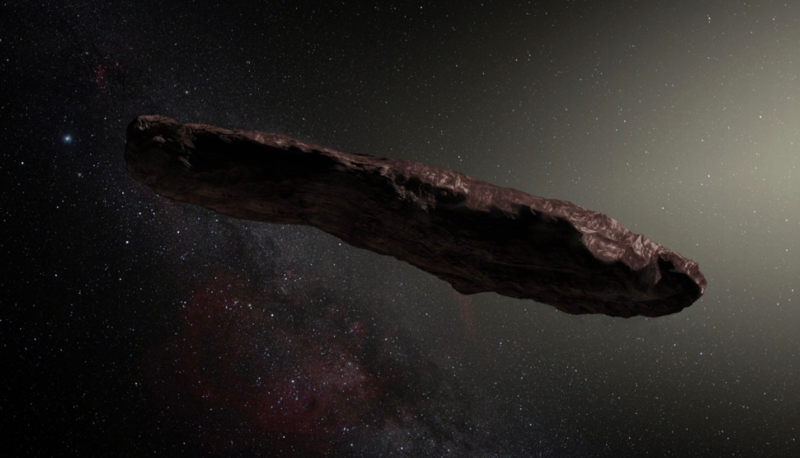 "Already during the observation, we noticed that `Oumuamua changed its brightness to a very large extent, but only accurate measurements allowed us to determine the real scale of this phenomenon" - says Guzik. Researchers found that the brightness of `Oumuamua changed eleven times during full rotation, which was a higher value than previously accepted, unparalleled among the objects of the Solar System. Very good quality of the observation material allowed to capture the lack of exact repetition of brightness changes between successive rotations of the object. "After excluding other possibilities, we concluded that `Oumuamua does not rotate in a simple motion, but rather +tumbles+ through space" - says Michał Drahus. "This state can last for hundreds of millions or even billions of years and probably indicates an ancient collision, which occurred in the asteroid`s home system" - he adds. `Oumuamua tells us that collisions in extrasolar planetary systems can be quite common - just like they used to be in the early days of the Solar System. The researchers emphasize in the press release that the interpretation of the received data was not an easy task. The solution was advanced computer modelling carried out by Wacław Waniak from the Astronomical Observatory of the Jagiellonian University. It showed that the asteroid was elongated - but not as much as previous, simplified calculations would suggest. The team also found that a day on `Oumuamua lasts about 7.5 hours, the corresponding size is only 150 meters, and the asteroid`s density - contrary to the earlier findings of other teams - may not differ from the typical density of asteroids in the Solar System. Combining the photographs allowed to reconstruct the object`s immediate surroundings. It turns out that `Oumuamua does not have a tail or a coma, which are typical for comets, thus providing compelling evidence that `Oumuamua is a physically asteroid. "This is a very important result, as we expected most of newly-discovered interstellar objects to be comets. But now it turns out that asteroids might be more common" - explains Piotr Guzik, PhD student at the Jagiellonian University Astronomical Observatory and the second lead author of the study. 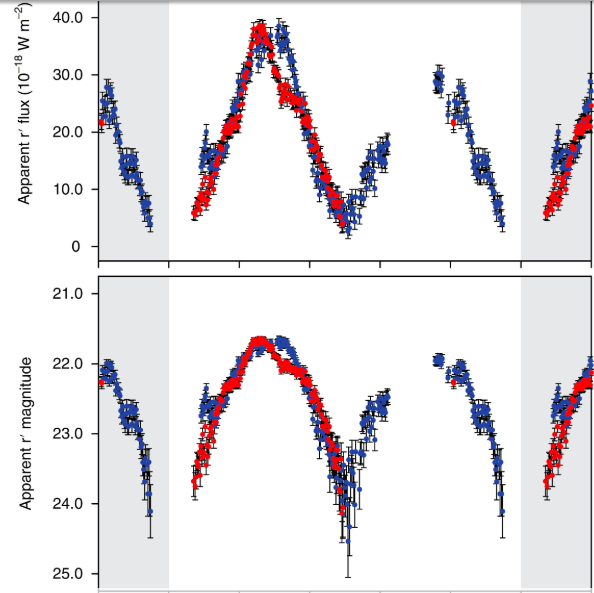 The results of the team`s research were published in the latest issue of Nature Astronomy (doi: 10.1038 / s41550-018-0440-1). They were obtained with significant financial support of the National Science Centre as part of the SONATA BIS programme.